Question:Problem Description: Currently we are running 11.2.0.1 Grid on a 2 nodes. We are facing DB crash issue and different bugs with current environment. One of the option Oracle provided is to upgrade Grid to 11.2.0.2 and convert to real RAC. There are 11.2.0.1 database under the clusterware. These DBs are currently actively running on one node and cold failover HA enabled by Oracle’s perl scripts. We also have 10g standalone DBs running under the same clusterware. We are planning the upgrade of Grid from 11.2.0.1 to 11.2.0.2, and also converting the cold faliover HA DBs to the real RAC 2 nodes or RAC 1 node. We will need Oracle’s advice on the technical road map and procedures on this. Also the issues we might face. The upgrade is planned to start in one week from now. We really appreciate that Oracle get back to us as quickly as possible. Thanks. Please follow the below document for manual upgrade or using dbua. Please follow the document to convert the single instance to RAC. 1. Our current version of Grid/clusterware is 11.2.0.1. Two versions of RDBMS are running currently on the cluster: 11.2.0.1 and 10.2.0.5. They are all on ASMs. +ASM1 is running on node 1 while +ASM2 is running on node 2. Some DBs are Standalone DBs and some DBs are Oracle active-passive HA with failover controlled by the Oracle perl scripts. We are planning to upgrade Grid to 11.2.0.2 and converting Oracle HA to the real RAC 2 node or RAC 1 node. At the sametime, we are planning to move other system’s DBs onto the same cluster. The current DB versions for that system have 10.2.0.4,10.2.0.1, 9.2.0.7, 9.2.0.5. Oracle 9i Databases were not managed by Oracle Clusterware 11.1 already.The Clusterware has exceeded the limitation. So kindly request to upgrade the 9i database ASAP to manage these databases on 11gR2 clusterware. 2. Does Oracle have any suggestion on the order of upgrade to 11.2.0.2 and the converting to real RAC from Oracle HA under clusterware? There is no documentation. I assume that you have installed clusterware,ASM and RDBMS has been installed on active-passive(Oracle HA) nodes. You need to disable the pearl script and bring up the clusterware ,ASM and RDBMS instance on passive node. 3. In note 1212703.1 Oracle provided, patch 9974223 is mentioned if multicast is enabled only for 224.0.0.251 address. I am confused on the instructions in the readme of patch 9974223. It mentions to apply both on CRS_HOME and RDBMS HOME. If we upgrade RDBMS to 11.2.0.2 as well becides the Grid 11.2.0.2 upgrade, is it required to apply the patch to the RDBMS HOME too, or just optional? If it is required, does the patch only need to be applied in the RDBMS, which has RAC DB running? Does it need to apply on the Standalone DB on the Grid/ASM? The patch 9974223 is applicable for CRS/RDBMS. You can apply this patch on both home. Yes. Please apply the patch on RDBMS home also. You no need to apply for standalone DB on the Grid/ASM. 1. Per Infrastructure Redundant Interconnect and ora.cluster_interconnect.haip [ID 1210883.1 ], Redundant Interconnect without any 3rd-party IP failover technology (bond, IPMP or similar) is supported natively by Grid Infrastructure starting from 11.2.0.2. The note is for the interconnect. Ans: – no need to undo ipmp what is already configured. Patch the release 11.2.0.1 Oracle Grid Infrastructure home with the 9413827 and 9706490 patches. Install Oracle Grid Infrastructure Patch Set 1 (GI PSU1) or Oracle Grid Infrastructure Patch Set 2 (GI PSU2). 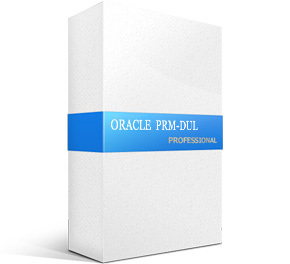 – Oracle Clusterware and Oracle ASM upgrades are always out-of-place upgrades. With 11g release 2 (11.2), you cannot perform an in-place upgrade of Oracle Clusterware and Oracle ASM to existing homes. If the”Oracle Clusterware and Oracle ASM upgrades are always out-of-place upgrades for 11.2″, why still need to patch the existing 11.2.0.1 Grid CRS HOME as mentioned above? If it is out of place, then Grid will have a new CRS HOME. Ans:- Yes. Still you need to apply the recommended patches before upgrade. The reason is due to known issues, it is recommended to apply the patch before upgrade. Ofcourse the grid infra needs to be installed on new home. Please go thorough the Grid installation document for more detail. 1. Our Grid is 11.2.0.1.0, we only need to apply one patch 9413827? Yes. Please apply the 9413827 only. 2. Do we need to apply 9413827 to the RDBMS Home for 2 HA DBs that are under CRS control right before we upgrade the Grid to 11.2.0.2? Please refer the below document to check RAC option is enabled or not. RAC one node is only supported with DB version of 11g under 11.2.0.2 Grid for Solaris 10, correct? We have some DBs with 10g version. Right now they are standalone DBs and can not be upgraded for now. Does Oracle support 10g database with RAC 2 nodes under 11.2.0.2 Grid on Solaris 10?